Very often, people speak of a desire to “avoid probate”. What is probate and why should it be avoided? Simply put, probate is the process by which a deceased person’s affairs are finalized. Of course, this is a simplification and even the simplest estate can have a number of steps that must be taken in order to finalize the decedent’s affairs. The first step in the process is to present the will, if there is one, to the court, for admission to probate. A will is admitted to probate when the judge accepts it as the valid last will and testament of the decedent. It is at this first step that the “will contest” usually takes place, since the purpose of this step is to settle whether the will presented is the true last will and testament of the deceased. At the same time as the will is presented for probate, or as a first step, if there is no will, a petition is filed for the appointment of a personal representative (known as executor in some states). If there is a will, normally the court will appoint the person named in the will to serve, unless that person is not qualified under Florida law. A person might be disqualified if she is under the age of 18 years, a convicted felon, a nonresident non-relative (i.e., your sister can serve no matter where she lives, but your accountant cannot if she is not a Florida resident). If there is no will, Florida law sets out certain preferences in who is qualified to serve, which are best described as various levels of familial relationship, followed by the person chosen by the majority of heirs if there is no relative willing or able to serve. The office of personal representative carries a high degree of trust and faith, and the personal representative has a duty to the estate, beneficiaries, and creditors. She must exercise reasonably prudent judgment on behalf of all parties concerned in the estate, as well as good faith and reasonable diligence in the performance of her duties. Upon her appointment as personal representative, the named person will receive Letters of Administration. Despite their name, they are not correspondence but rather the judge’s order appointing the personal representative. The personal representative will be required to present them in carrying out all duties on behalf of the estate. 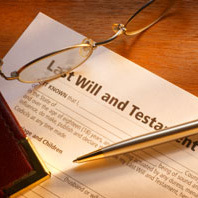 After the will is admitted to probate and the personal representative is named, one of her first duties is to gather the information concerning the assets of the estate. This information will be filed with the court in a document known as the Inventory, which contains the fair market value as of the date of death. The Inventory is due sixty (60) days from the date the Letters of Administration are issued. Some of the assets that might be included are bank accounts, securities accounts or individual certificates, real estate, personal property (furniture, jewelry, collectibles), and life insurance payable to the estate, to name some of the most common. The personal representative often employs appraisers for the various assets for an accurate valuation. In the course of evaluating the estate, the personal representative has a duty to properly secure the assets, making sure that they are secured and cared for, and that there is adequate insurance coverage for them. Another duty of the estate is to properly invest and manage the assets as a prudent investor would. The personal representative will manage income-producing assets, invest and manage securities and similar assets in a prudent and cautious manner; review all documents of the decedent and collect all mail; file for and collect any social security, VA or life insurance benefits payable to the estate; file for and collect any outstanding Medicare or other health insurance benefits; utilize the proceeds of the estate to pay and keep current all mortgages, property taxes and assessments. At this time, the personal representative will advertise in a newspaper of general circulation a legal notice called a Notice to Creditors, which notifies creditors that the person has died and that the estate is being administered. Creditors have three (3) months to file claims in the estate. The personal representative must also diligently search the decedent’s records for possible creditors. If she locates such a person, she is obligated to give that person a copy of the Notice to Creditors so that the proper claim can be filed. All claims filed in an estate should be reviewed promptly by the personal representative to determine their validity, because if they are not valid there is a procedure for objecting to them, with strict time limits. In making a probate inventory, the personal representative will include only assets subject to probate; however, there are often significant assets that are not subject to probate. These might include insurance policies that are not payable to the estate, transfer on death accounts, IRA or other retirement accounts, among many possibilities. These assets, while not subject to probate, are subject to estate tax, if over a certain dollar value. The dollar value, called the exemption equivalent, is $5,000,000.00 in 2011. It is unknown whether Congress will extend this limit, if not, it returns to $1,000,000.00. If all of the assets of the estate for tax purposes exceed the then-allowable exemption equivalent, then a Form 706 Estate Tax Return must be filed within nine (9) months from the date of death. The personal representative must also be aware that if there are assets in another state, there may be state estate tax obligations. Florida has no estate tax at present. The personal representative should also determine when the final personal income tax return is due for the decedent, and is responsible for filing the return. The Estate must also file an income tax return for each year it exists. Once the assets are inventoried, the creditors’ claims resolved, and the estate and income taxes paid, the personal representative may begin to distribute assets. Normally, those who received specific bequests such as “$10,000 to my niece, Elmira Jones”, will be paid first. The residuary beneficiaries are those who receive everything that is left. Normally, the personal representative will hold back a reasonable amount to pay any final expenses, such as preparation of the last tax return, and preparation of the final closing proceedings by the attorney. Upon completion of any such final items, the remaining estate assets can be distributed. The attorney will file a petition for discharge with the court, which is important because the personal representative is personally liable for administration of the estate until the court issues the order of discharge. By statute, the personal representative is entitled to compensation for her services. Presently, this amounts to three percent (3) % of the estate’s value for probate purposes in the absence of a different agreement between the deceased and the personal representative. The personal representative is also entitled to reimbursement for costs and expenses incurred in administering the estate. Note that this fee does not include payment of the estate attorney. The author’s experience is that a simple, uncomplicated probate of a nontaxable estate should take about six (6) months to complete, mainly because of the three (3) month creditors’ period. If a 706 Federal Estate Tax Return is required, it will take between one (1) to two (2) years, due to the time taken for review by the Internal Revenue Service. The time delays and the expense are reasons cited for the avoidance of probate. In some cases, probate cannot be avoided, for example, if it is necessary or desirable to obtain a ruling of homestead on the residence of the decedent. Another reason for completing a probate is the desire to clear creditor’s claims. There may be other reasons, depending on the specific facts of a particular case. These factors should be weighed against one another and against the costs and complications of other alternatives.